While summer may be coming to an end, at Savvyscot.com we are interested in fitness all year round! 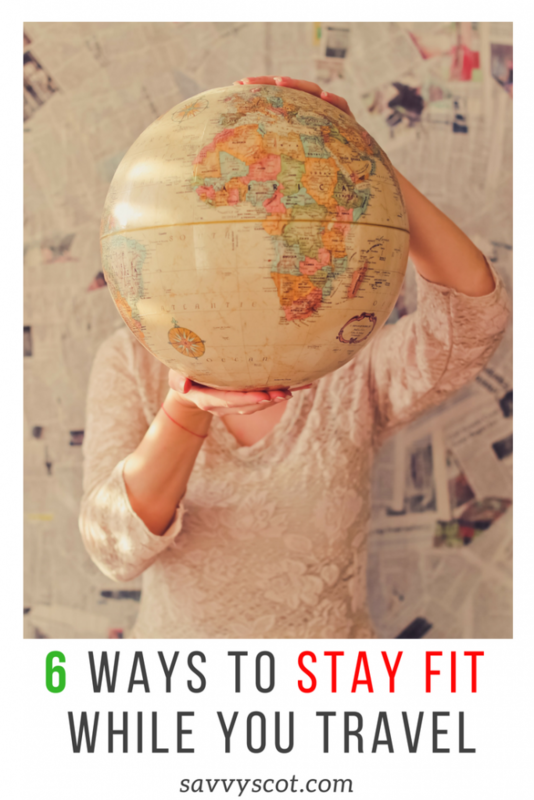 That said, check out the following guest post with some top tips on staying fit as you travel! While these examples are based on a holiday to Florida, they can be applied just about anywhere. Happy Reading! Traveling, whether it’s for sightseeing on vacation or for business, always seems to upset your normal routine. Your diet changes, your workout regime goes by the wayside, and even your sleeping patterns change. And let’s not forget – most of us who go out of town forget the diet, and eat whatever is put in front of us – and snack like crazy. Statistics show that most people who go on vacation put on 5 to 10 pounds in a 2-week period. 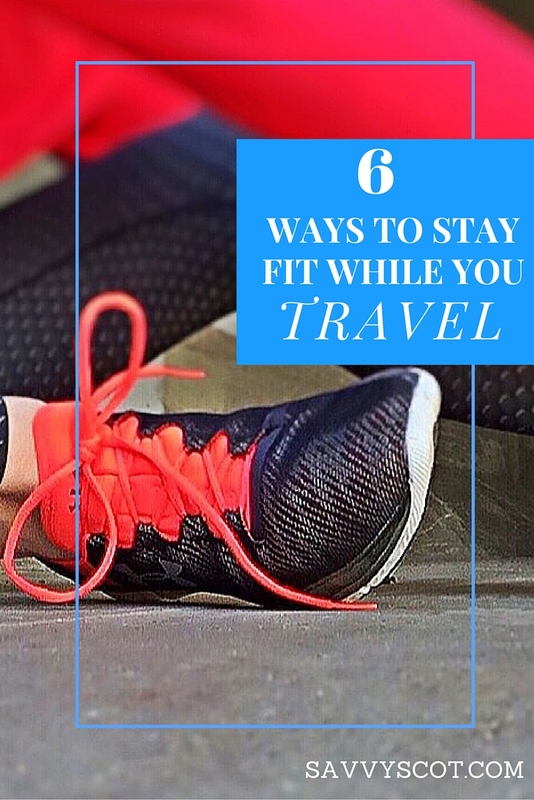 But, getting a good workout and staying with your routine while traveling can help you lose weight, not gain. And we all know a good workout helps you sleep better, as long as it isn’t right before bed! But how do you get your usual workout when you’re not at home? If you normally work out in a gym or health club – find a hotel that has offers a good workout gym. Most higher end hotels are equipped with gym equipment. If you can’t find a hotel complete with a workout gym, remember that almost all health club facilities offer ‘guest’ passes for a few days and sometimes up to a week. Find one close and take advantage of the free workouts. If you run, and feel lost without your normal routine, find a new one. Running in a new location is exhilarating and can be more fun (and challenging) than the one you’re used to. There is a reason the top end treadmills offer scenic DVD’s that change regularly. A change of scene will do you good. Downtown Orlando is a great place to run. Run a few laps around Lake Lucerne or at the many parks in the area. Running in the morning when the heat is not on full blast is a great way to experience the scenic and kind of peaceful downtown Orlando area. 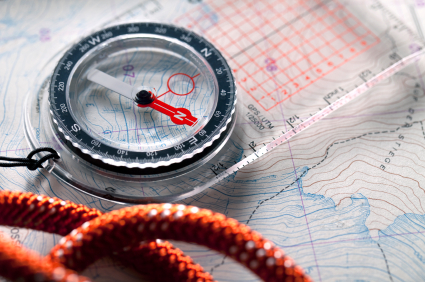 Walking and hiking are easy to accomplish in a new town or city. Instead of driving to go sightseeing or to a business meeting, walk to your destination, and by all means explore the town and the local trails on foot. Of course if you are going to be visiting one of the many theme parks in the Orlando area this task is easily accomplish-able. Try to avoid the rail rides and trolleys and take a stroll. Disneyland and Universal Studios are both huge. You can easily cover miles of walking in one park. Just be sure to avoid eating a giant turkey leg and large soda pop while doing the walking. If you’re an adrenaline junkie, you can almost always find something to do locally. These are usually some of the main attractions in hundreds of cities and locals. If you’re vacationing, seek out the places that offer extreme sports and by all means, try something new. Many of the hotels in the Disneyland zone (including MGM, Animal Kingdom, and Epcot) have arcade rooms and even entire buildings nearby that offer a good workout while not getting too extreme. Try your luck virtually paddling down whitewater rapids, or rock climbing a rotating wall. This is a great opportunity for the family to have some fun after the parks and still get a good workout in. Yes, it is difficult to bring your hand weights with you, but there are alternatives such as bands and tubing, and flex bands. They’re lightweight and can travel with you giving you as good a workout as weights. Make it a regular routine in your hotel room before you head out in the AM to get in a good workout. This is the biggest problem with travelers – eating wrong – a Cinnabon at the airport because you’re starving costs you about 700 calories or a hot dog from a street vendor because there isn’t anything familiar close…. These things pack on the pounds quicker than you can imagine. Bring things with you – it’s allowed! Carrot sticks, pretzels, healthy snack bars, things that will tide you over until you can get a decent (healthy) meal. When choosing foods to eat, be sure that you’re eating like you would at home – plenty of fruits, veggies and whole foods. Stay away from the buffets and fast food restaurants. **Words of Wisdom** If you are on a strict diet, DO NOT ENTER EPCOT!!! Drink and carry with you – plenty of water. Being on an airplane can dehydrate you, and most of us eat when we’re dehydrated thinking we need food. Drink a lot of water throughout your entire trip to avoid overeating due to lack of water. Some people who travel a lot have a routine built into their travel plans so that they don’t gain weight. It is possible to lose weight and get into stellar shape while traveling; it just takes a little pre-planning and effort. Imagine coming home from a trip in better shape than when you left. Not only will it make your vacation much better, you won’t have to face a diet and a strenuous workout regime when you get back. Kristy Alexander is a travel savvy mum who loves to share her advice on traveling with families and while away on business. On here last trip to Manchester she searched Manchester hotels with HotelClub and found a great bargain of a find. I can definitely relate to putting on a bit of weight while on vacation. It’s suddenly time to try all these new restaurants, drink a lot and just relax. A lot comes down to what kind of activities you have planned. If you just plan on lying on the beach, good luck with not putting on some weight. I’ll second the resistance bands idea, very effective if you combine a few together for max resistance plus they’re very light in your suitcase. Or failing that several sets of slow, deep bodyweight squats, press ups, chair dips and abdominal exercises is sure to keep your muscles ticking over until you get back to your regular facilities. My husband and I are a little weird maybe in that we plan our trips with execise options in mind. We have a much better time if we can at least maintain while on a trip. [email protected] recently posted..Can’t Take My Eyes Off These Blogs! Glad I’m not the only one… Get it done in the morning and the rest of the day is guilt-free!